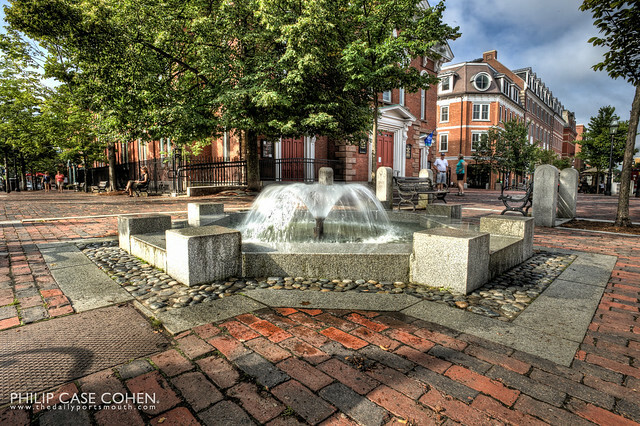 A glimpse of the Market Square fountain in action. I’ve wanted to snap a shot of the old bricks & the inlaid fountain for a long time. Thankfully I was out for a nice stroll on Saturday morning before grabbing a cup of coffee to start the day…and was armed with my tripod so I could get a nice stable shot low to the ground – without getting the shake I’ve been accustomed to if I try to stabilize myself low to the ground. The morning light makes for some interesting shadows and color.